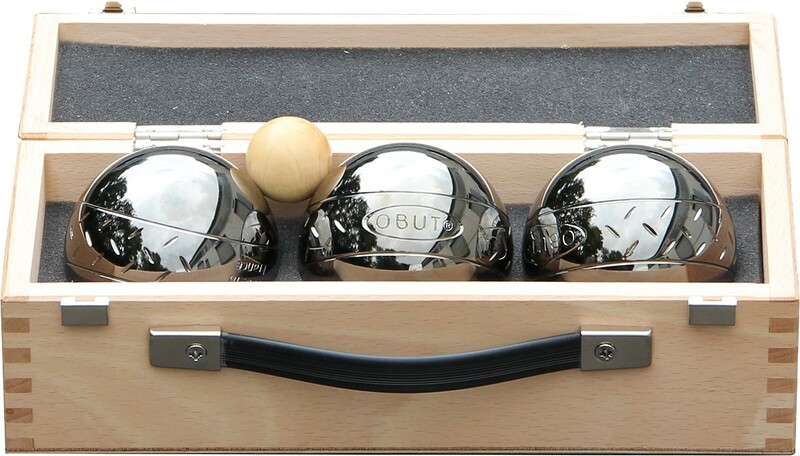 3 Boules (weight: 640g, diameter: 74mm) in a wooden box. For hobby players. A great idea for a gift. Endow your friends or yourself with a personalized item.